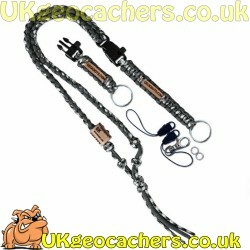 range of geocaching gear to make your sport easier and more enjoyable. Gear There are 81 products. 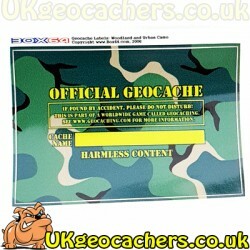 and why not carry a trackable one make specifically for geocaching. also is a great safety product incase you get delayed and it goes dark. your GPS safe from the risk of dropping it by attaching it to a lanyard. help you on the trail. so that other geocachers can discover it wherever you go. were out geocaching or just plain old shopping. that are both very comfortable to wear for long periods and also very practical. Whether it be carrying your SWAG, or survival gear they perform the job well. themselves to geocaching. We are delighted to be able to stock some of their wares. Use camouflage products to help hide your geocaches out in the wild. 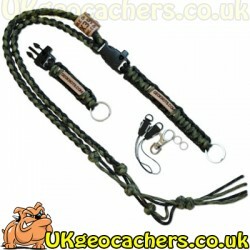 or survivalists who are looking for great paracord products. Did you know that one strand of Paracord will hold up 550lb/275kg of weight? We don’t call this the Ultimate Lanyard for nothing. GeoKnots took all the things that geocachers need in a lanyard, and made it even better. You won’t have to trust your expensive GPS, smart phones, cameras, and other electronic gear to a flimsy strap any longer. 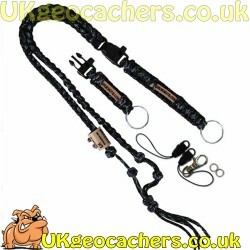 Each Ultimate Lanyard is proudly made by geocachers. Plus - it's trackable! 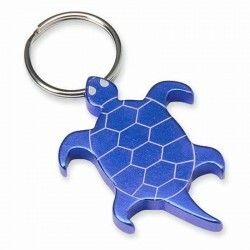 This metal Turtle Bottle Opener Keyring is a great addition to your keychain, to attach to a travel bug or even to leave as a swag item, a hardy little critter and good looking as well. Made from a light but strong metal, and available in blue, red, orange and green. Designed and manufactured by Box64 these great cache stickers help your cache hide better than the solid colour cache labels. This Urban Colour design is in shades of grey with black. 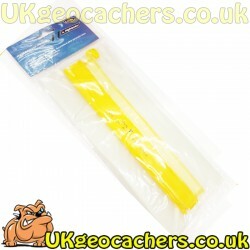 This waterproof pouch is ideal for keeping your map or cache page print outs dry when out caching in inclement weather. Its large size 34cm x 27cm means that A4 sheets easilly fit into it. Its velcro closure system allows you to easilly add or remove items whilst still keeping them dry. This white 5"x 5" Geocaching Logo Vinyl Decal will look great in your vehicles window. 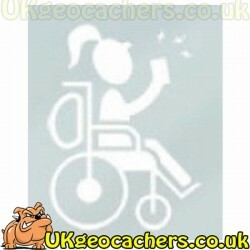 Label your ‘cachemobile’ with this Woman in a Wheelchair Decal and purchase the others to show you whole family of cachers. This is a white decal sticker Don't miss out get yours now. 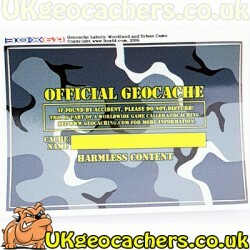 Designed and manufactured by Box64 these great cache stickers help your cache hide better than the solid colour cache labels. This Woodland Colour design is in shades of green with black and brown.